The parish registers for St Mary's Church date back to the sixteenth century, although the earliest years record only some wills. Christenings, marriages and burials begin in 1612, and there is a reasonably complete run from the late seventeenth century to the present day. Marriages 1612 - 1837 are included on the Berkshire Marriages CD available from Berkshire Family History Society. 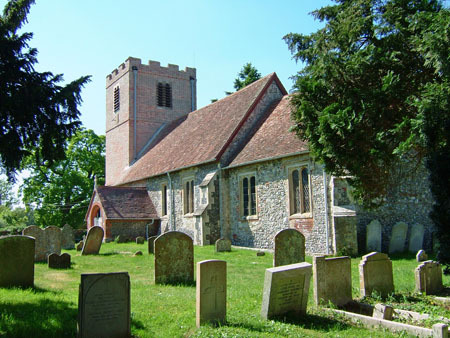 Burials 1612 - 1837 are included on the Berkshire Burials CD available from Berkshire Family History Society. Today, the oldest legible headstone reads 1666, and there are, of course, many more graves than memorials. The Craven Mausoleum in the churchyard was added in 1921 on the death of the fourth earl, and three of his relatives have been interred there since, the most recent being in 1974. Memorials to the dead of both world wars are inside the church. 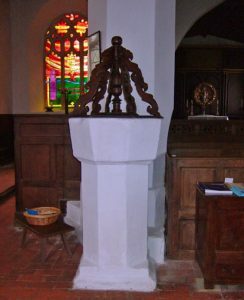 Hamstead's monumental inscriptions have recently been transcribed onto a searchable CD, with photos, which can be bought from Berkshire Family History Society.